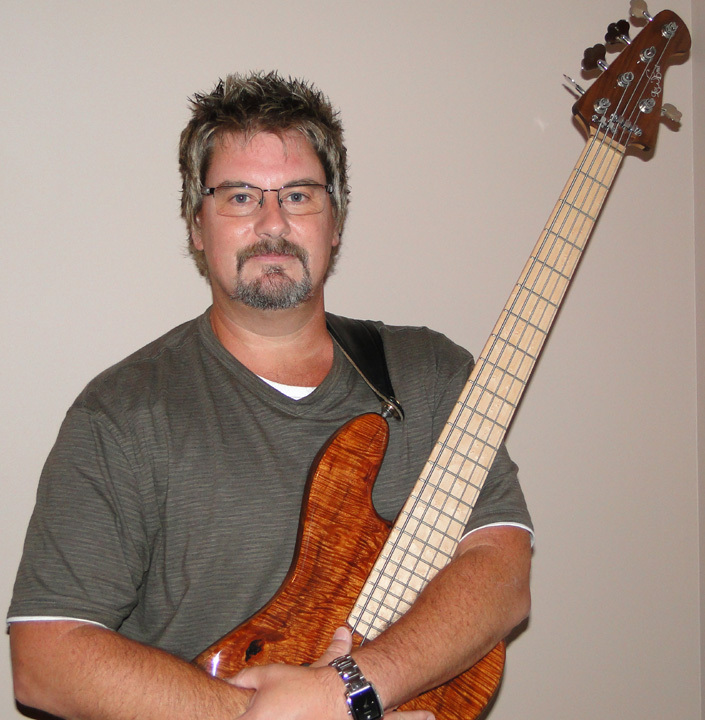 Barry Driver is a vocalist and bassist for the band Reflection. Barry has lived in Paducah, Kentucky his entire life and has been singing for about as long too. Barry's mother tells him how she prayed when she was carrying him that he'd be blessed with a singing ability. Barry's parents sung in their church and his mother wanted him to be able to share in the joy they'd found in music. He recounts how he could hum tunes before he was old enough to talk. As he grew, Barry sang in church and in school choirs. As a sophomore in high school, he discovered he had a special gift that touched people when he'd sing about his Savior. When he was 15 years old, he got his first bass. It was love at first pluck! After many hours of playing along with his favorite albums, he began playing in his church band and for his high school's show choir. During the previous 12 years, Barry has led and helped lead worship in various Churches. In this time, he's also written several songs and have been a part of two church recording projects. His band, Reflection, consists of members of a worship team. Barry does not separate his love for music and love for Christ, and He gave Barry his talent, who loves using it for Him. Barry has been married to Lisa for 28 years, and their son, Adam, is a drummer. Yeah, it's been known to get loud in their house!